What if you put together a big huge party, but no one came? You’d feel pretty lame wouldn’t you?? 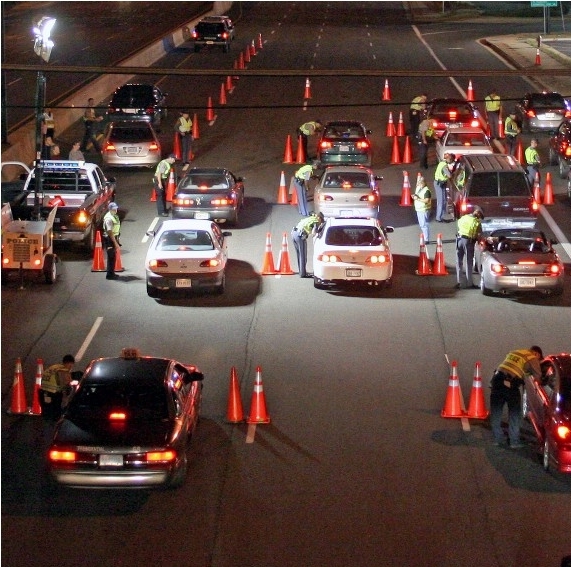 A sobriety checkpoint in Burbank on Saturday that screened 1,021 drivers yielded zero arrests, police reported. Burbank police were stationed at Glenoaks Boulevard just north of Alameda Avenue from 9 p.m. to 2 a.m., during which time six drivers were detained for field sobriety tests, said police Sgt. Darin Ryburn. None were arrested. Two citations were issued – one for a driving infraction and another for driving without a license. Every one of the 11 non-roadblock states saw a decline in alcohol-related fatalities, while almost half of roadblock states saw an increase in alcohol-related fatalities. Due to this increase, the 39 states (plus the District of Columbia) that do operate roadblocks only accounted for a net 17 fewer alcohol-related fatalities. Saturation patrols were 32 times more effective at catching drunk drivers than checkpoints! Across the country, roving patrols prove to be more effective. For example, roving patrols in Virginia in 2007 had a success rate of 8.1%, making them 24.5 times more effective than Virginia’s checkpoints. However, the most important number is not the number of people stopped or arrested, it is the number of dollars received to run these checkpoints. It’s all about politics and money my friends and not about public safety. It’s time for us to understand that roadblocks are about money and not about safety. Mcshane Interview on DUI Checkpoints Radio Wlbr 6-5-2013-1 from The McShane Firm on Vimeo.